I’ve been seeing dragonflies. Or rather, one dragonfly on repeat. At least, I hope he’s the same one. On my street, near a row of pine trees, at the top of the walking loop around the local park where he seemed to wait and hover for me each time I came around. The next day I glimpsed him darting in the leaves of the locust tree above my neon pink hammock. I’ve been trying to figure out his message. Experience has taught me to listen up when an animal or insect wants my attention, especially when they consistently show up. I wish I’d applied this concept sooner when the ants infiltrated one corner of my kitchen for two springs in a row, but that’s another story. Jamie Sams and David Carson of the insightful Medicine Cards view Dragonfly as helping us to see through illusions so that we can transform. 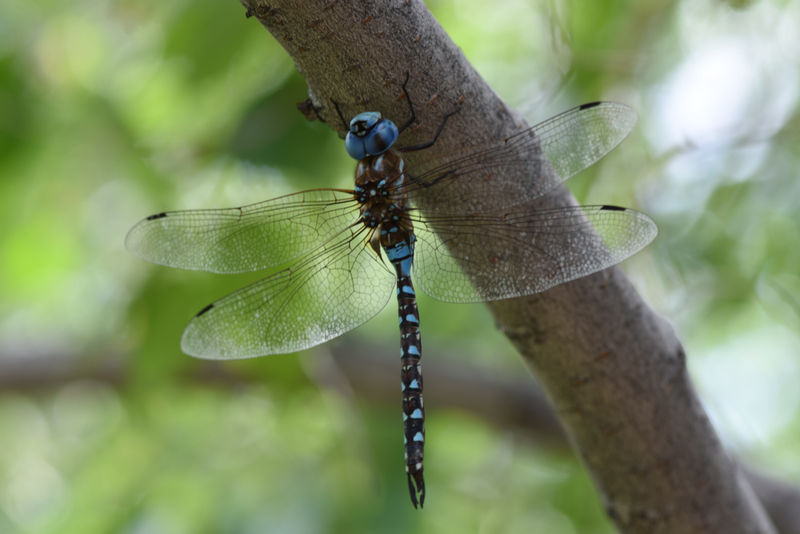 Avia at https://www.whats-your-sign.com/animal-symbolism-dragonfly.html, one of my favorite sites for symbolism of all kinds, discusses how Dragonfly is a harbinger of change and reminds us to pay heed to whatever is surfacing from our watery depths. Dragonflies are wonderfully adept fliers with incredible speed and the ability to control each of their four wings independently for precision. They can fly in any direction and view the world that way too, except they can’t see directly behind them. And, of course, much like a butterfly, they go through a dramatic transformation from larva to adult. Here’s why I think Dragonfly is showing up for me. I need to be more adaptable in my relationship with what I perceive as “truth.” Am I seeking truth? Constantly. Do I believe there is truth to find? Absolutely. Do I know all the truth about all the things? Well, no, unfortunately. Dragonfly is helping me to see through an illusion that says I shouldn’t publicly express my “truth” unless/until I have everything figured out and can prove it to anyone’s satisfaction. The reality is I can share right now while giving myself permission to constantly evolve my personal truth, the same as everyone else. Like Dragonfly, I am free to fly in any direction, even at high speeds, eyes open to whatever wisdom will aid me in my own transformation. I’ve been waiting for the right time to post my guided meditation on animal guides and share some of my own experiences. Although the process of creating a meditation, much like creating oracle decks, is creatively fulfilling and healing for me, sharing the finished product is not as vulnerable as telling my own stories. Yet my favorite books, articles and blogs are the ones where people open their hearts for others to read. I think we all crave this kind of connection. Hearing another’s personal truth is an opportunity to bear witness. It does not require the sacrifice of our own beliefs, although of course I’ve surrendered mine on many such occasions. I want to cultivate and participate in a world where authenticity is valued above fitting the expectations others have of us. Some of you reading this or exploring my website may not know how passionate I am about connecting with the unseen world. Hi. Thanks for reading. I’m ready to share, and I’d like to hear your stories too. P.S. I'd like to thank Grandmother Spider, who scuttled across my front porch and told me to write this instead of sleep.